Irish Creme de Menthe Cocktail is a delightful way to celebrate the holidays and it’s the perfect addition to a holiday dessert! This Cocktail is a spin off of a Irish Holiday beverage called Connolly’s Irish Connection and since I happen to be Irish and my mothers maiden name is Connolly, I figured this drink just had to be made. So, the next stop in our Christmas Culinary Journey around the World is Ireland. Christmas Eve after home had been decorated with laurel, holly and ivy. Geese, ducks, great sides of beef, sheep and pork were turned on the roasting spit in the halls of chieftains in early Christian and medieval times. 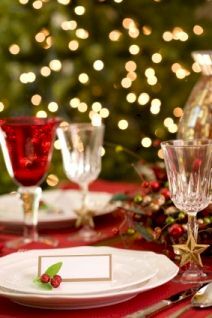 In later centuries, the spit had become the kitchen oven and, by the late 18th century, vegetables and fruits began to feature more heavily on the table during the Irish Christmas. Irish Christmas recipes didn’t come in beautiful books filled with pretty pictures. They didn’t need to. The winter festival was a time to celebrate using cooking methods that had been handed down, usually orally, through the generations. Recipes using beef suet, mixed dried fruit and whiskey in cakes and puddings  not terribly dissimilar to those that make an appearance on our modern festive tables every year  started to acquire a seasonal status. Preparations began weeks in advance for these cakes and puddings. An advent wreath was an important part of Catholic preparation for Christmas. The wreath is made of greenery twisted in a circle with four candles set equidistant. A candle is lit at the beginning of each of the four weeks of advent, until all four candles are lit in the final week before Christmas. Candle in the window. It is traditional in Irish homes to set a candle in the front window on Christmas eve. It is said to welcome weary travelers in search of a resting place, such as Mary and Joseph were in Bethlehem all those years ago. Christmas in Ireland includes attending midnight mass. The crisp cold sky above, the bright lights of the church welcoming you in. There are many Irish carols and hymns which are traditional at Christmas time. Finally, you can toast the arrival of the Christmas season with the traditional Gaelic greeting;’ Nollaig Shona Duit!‘ (pronouned no-leg hun-na ditch). It means simply, Happy Christmas to you! Perfect to toast with our Irish Creme de Menthe Cocktail!! Don’t have turkey. Although most Irish families now have turkey for their Christmas dinner, it is a custom we have imported from the USA in the twentieth century. Goose or ham would be a more traditional choice for your Christmas roast. Do have champ. Serve your potatoes as ‘champ.’ Champ is a form of mashed potatoes which is unique to Ireland. Add a handful of chopped scallions (spring onions) to a large bowl of mashed potato. Serve with a large knob of butter melting over the top. Delicious! Bring the Cabbage and Bacon. For greens, try cabbage with a little bacon. Boil or steam some cabbage, fry a little chopped bacon in a separate pan, and then add the two together. Sauté for a couple of minutes and serve. Make whiskey Christmas cake. It makes a truly Irish winter desert. Whiskey cake can last for months, so this is one part of your dinner you can prepare well in advance! Give this recipe a try. Make barmbrack. This bread is a delicious, warming snack to serve at any time of day. Barmbrack is a traditional Irish currant loaf, slightly sweet and served toasted with butter – and a cup of tea alongside. Irish Creme de Menthe Cocktail is a lovely addition to any celebration and I hope you enjoyed this look at an Traditional Irish Christmas! Have a wonderful Wednesday and I hope you holiday season has been filled with wonder! Combine half and half, Bailey's Irish Cream, RumChata, Green Creme de Menthe in a shaker; shake to combine. Divide ice cubes into serving glasses, evenly divide and pour shaker mixture over ice.